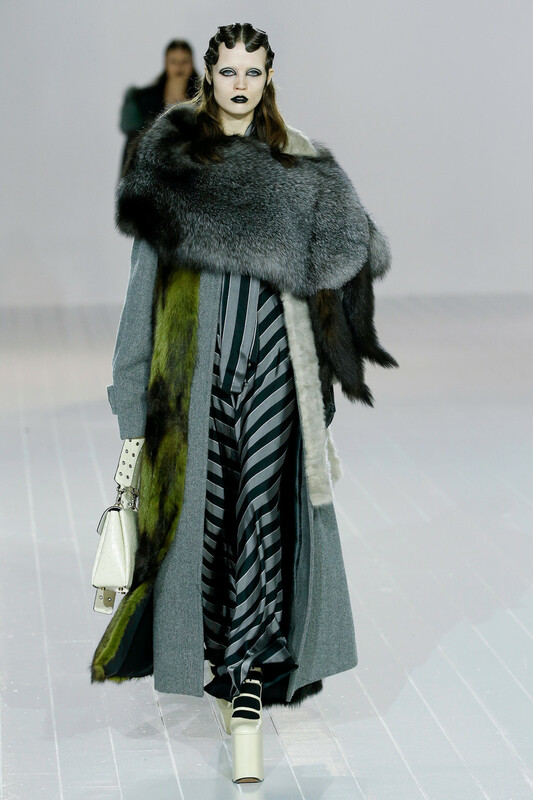 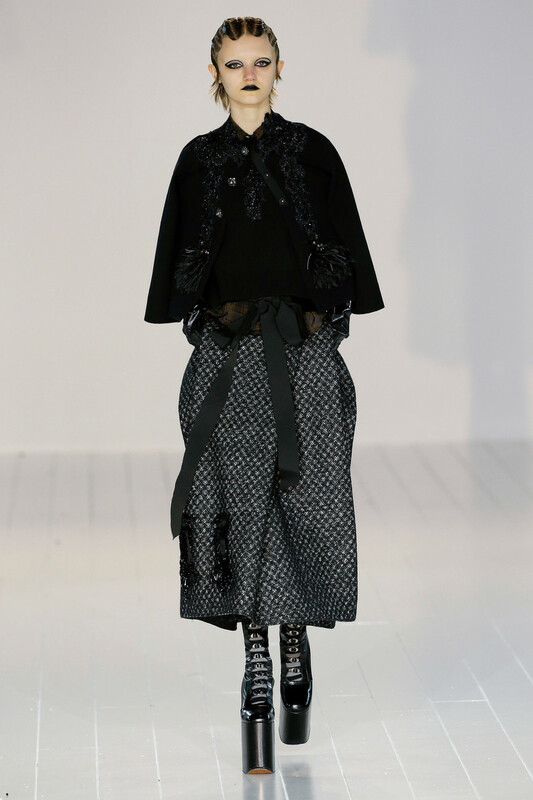 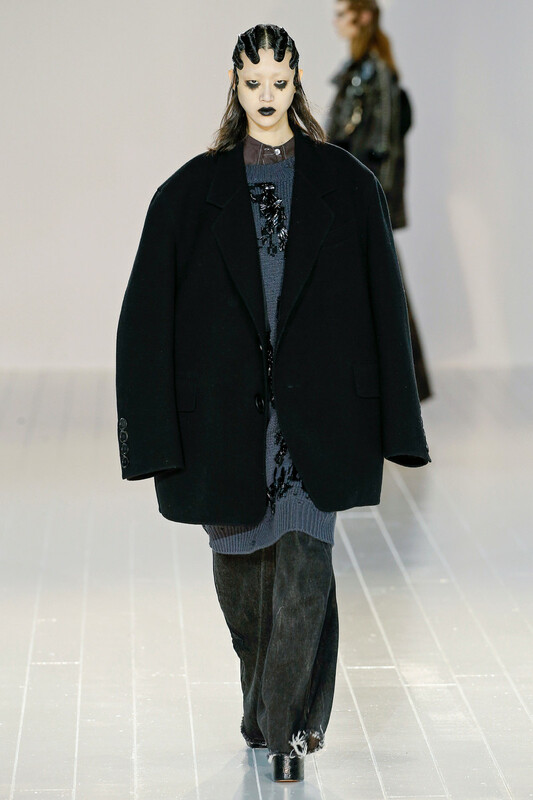 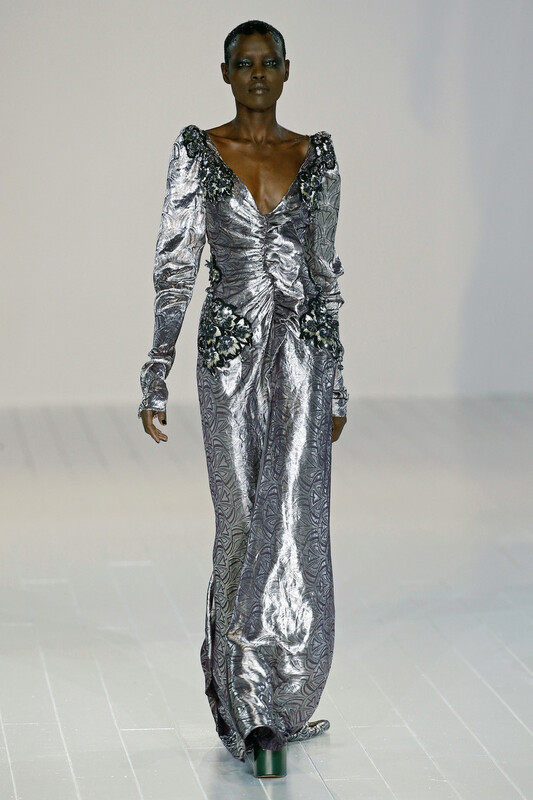 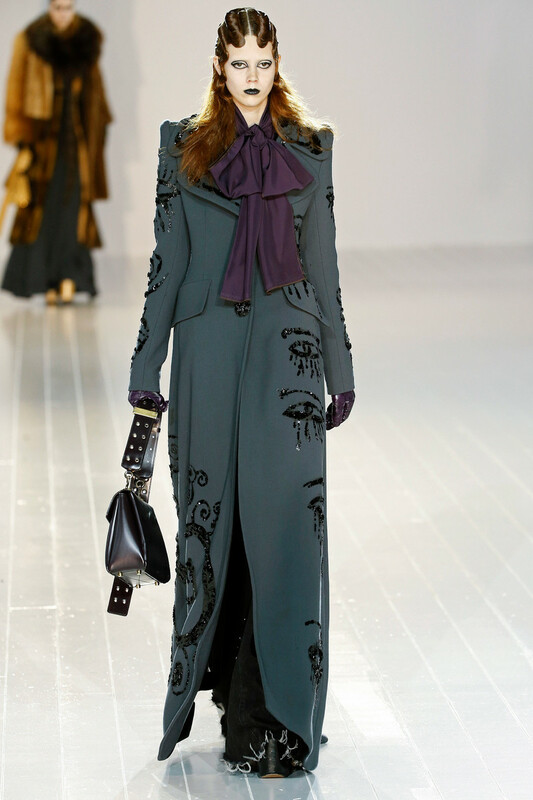 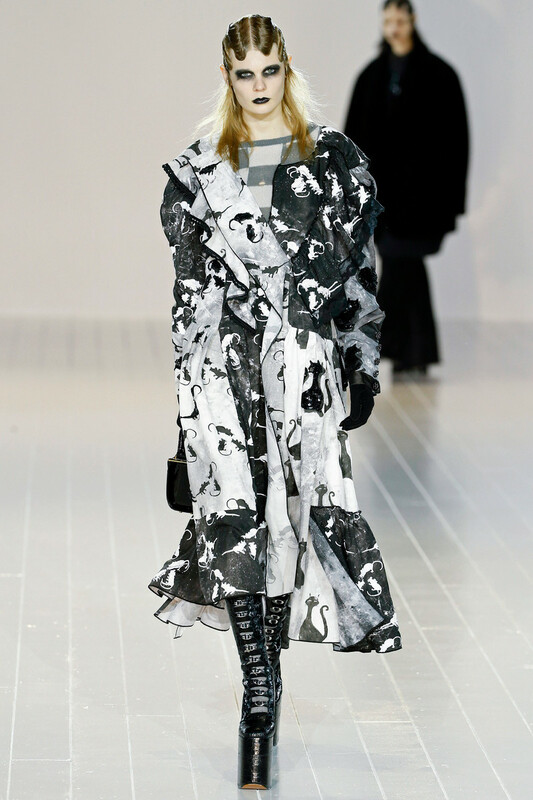 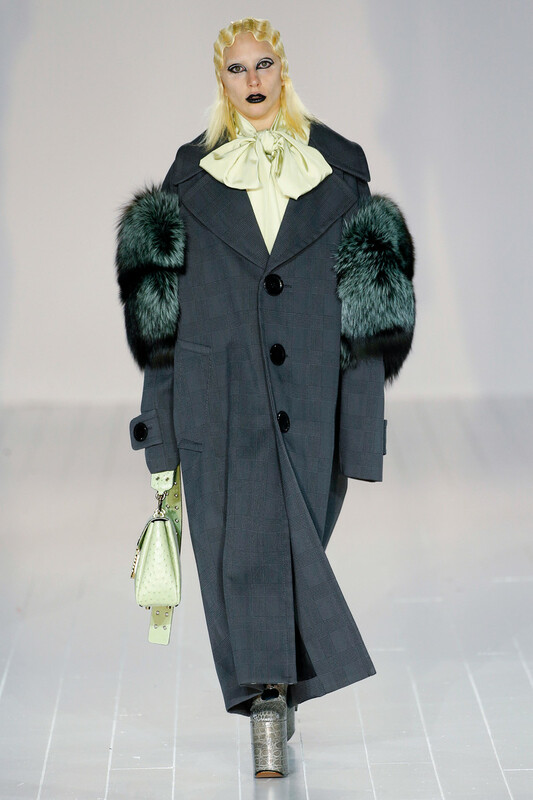 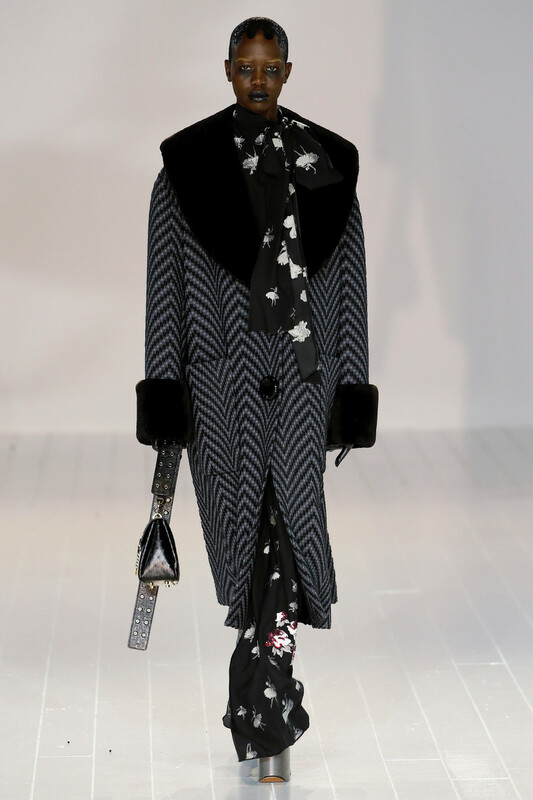 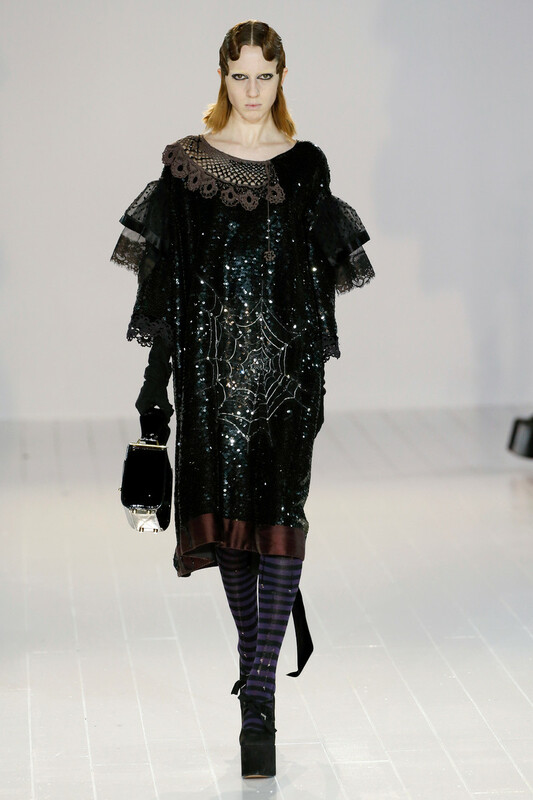 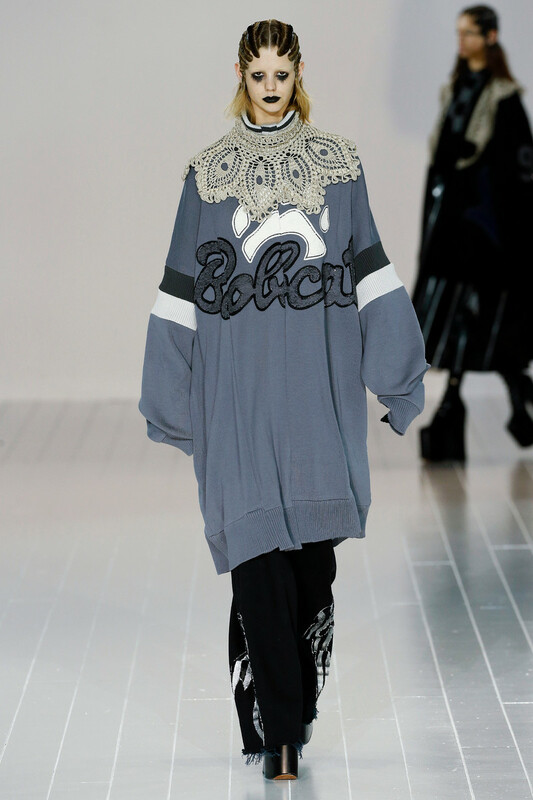 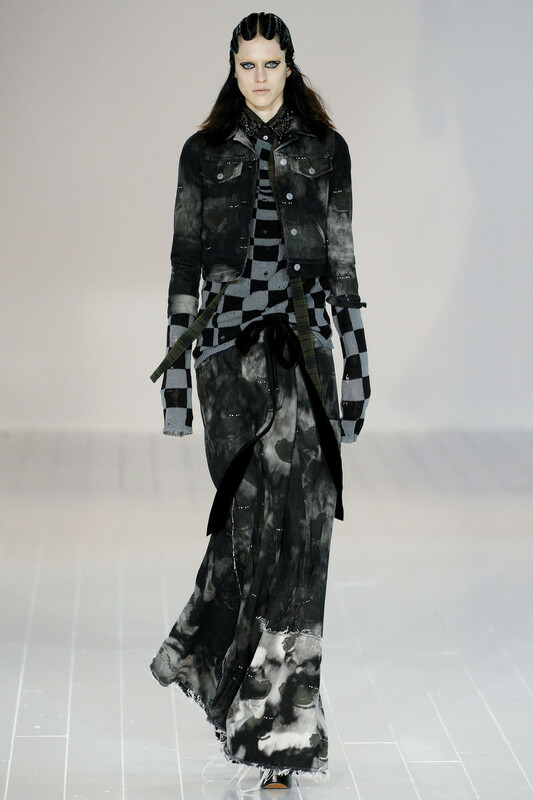 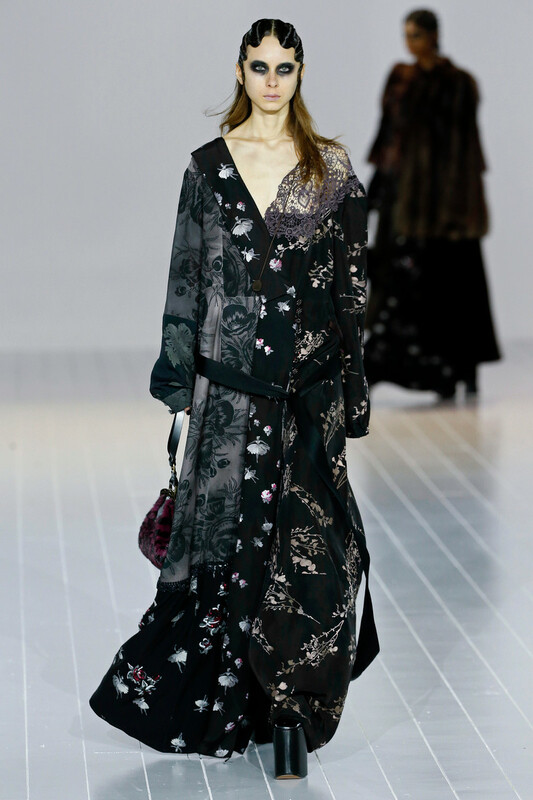 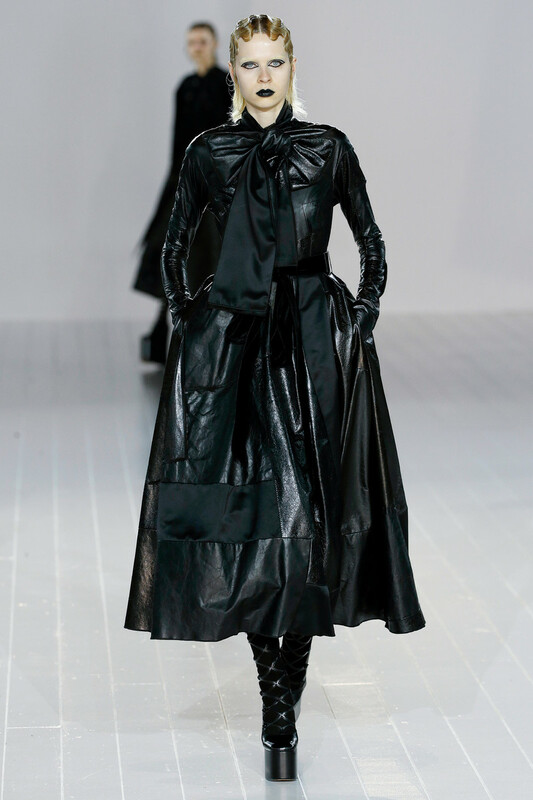 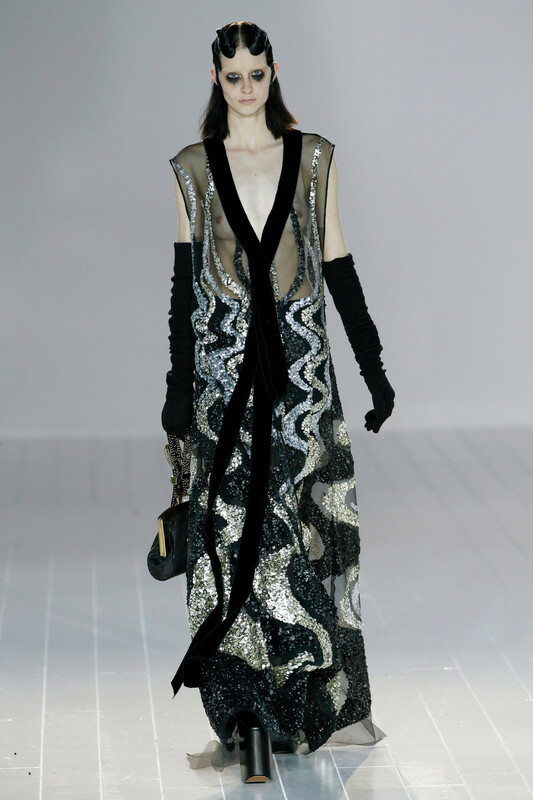 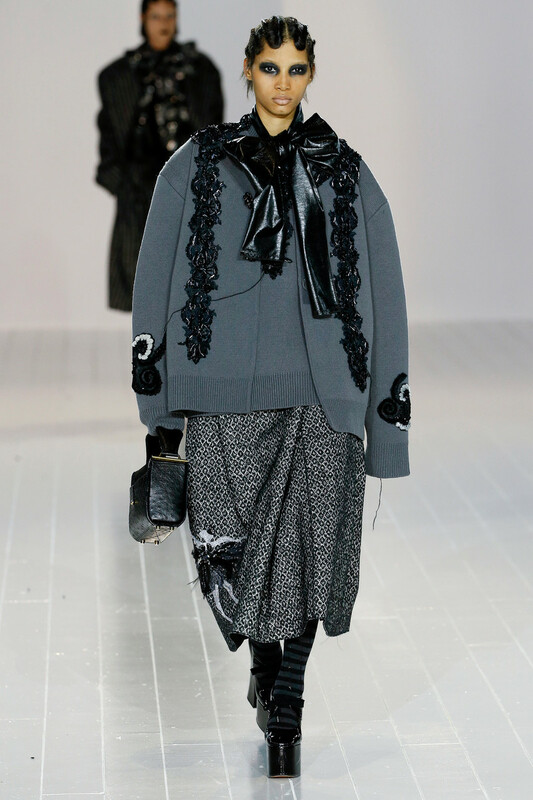 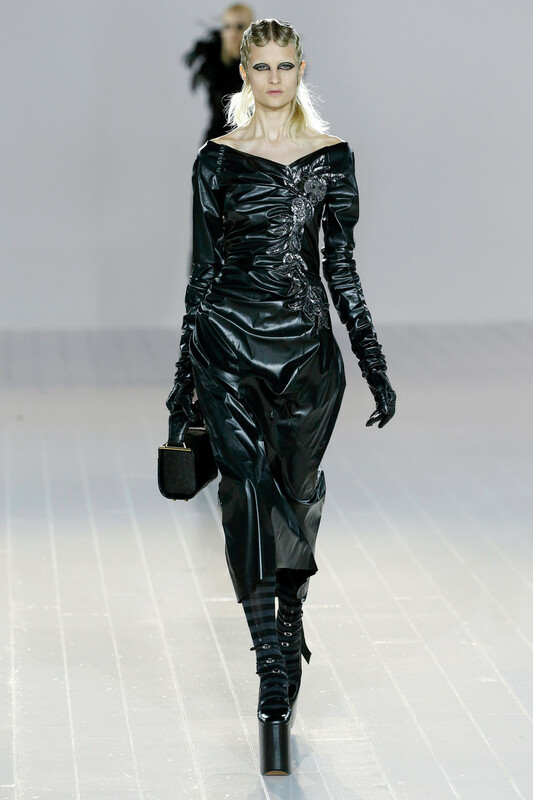 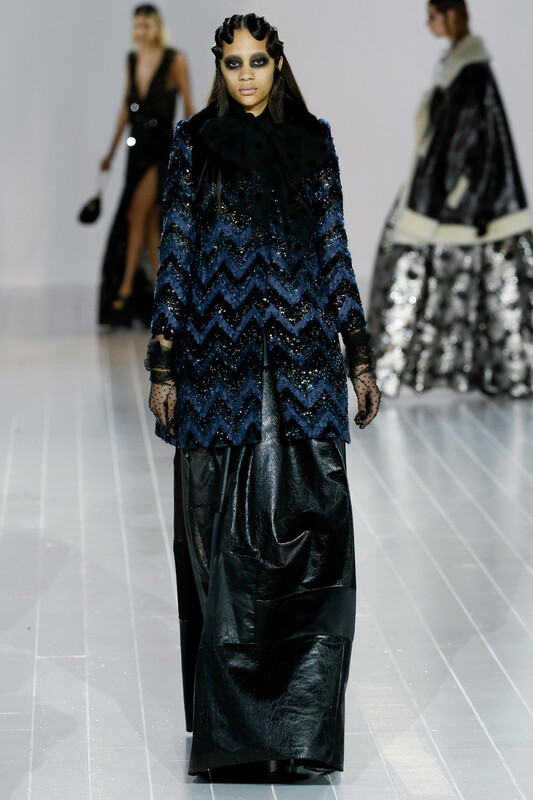 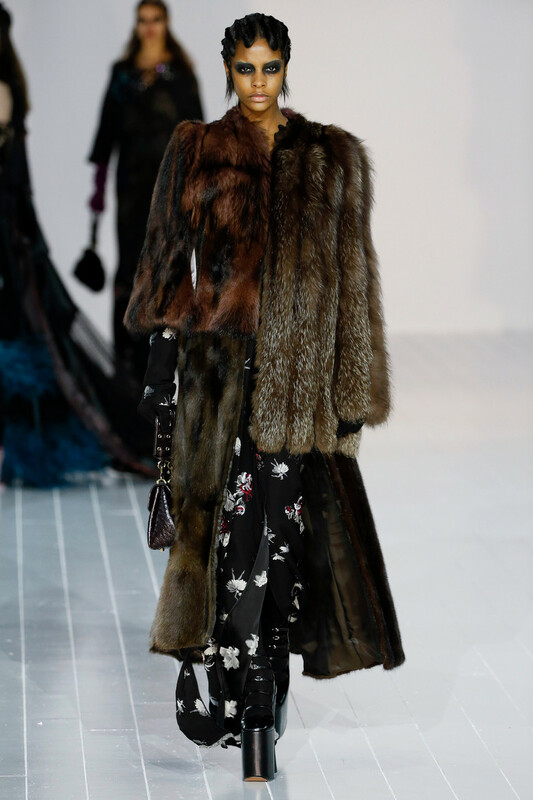 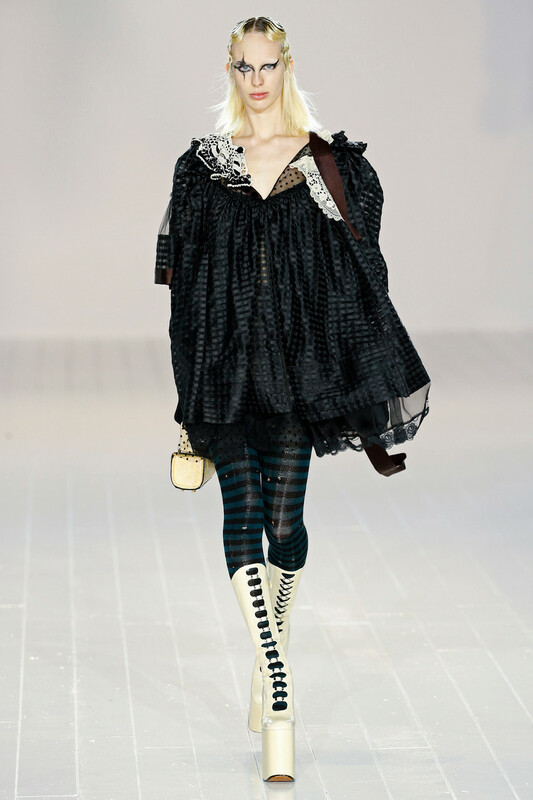 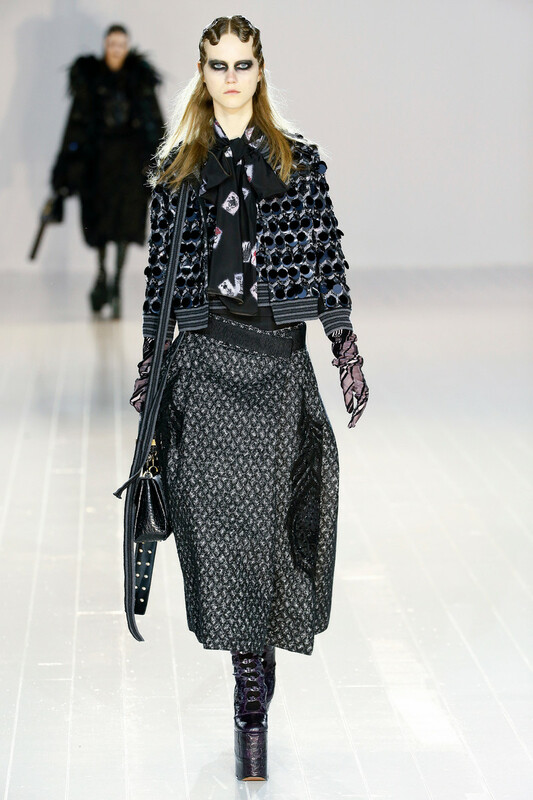 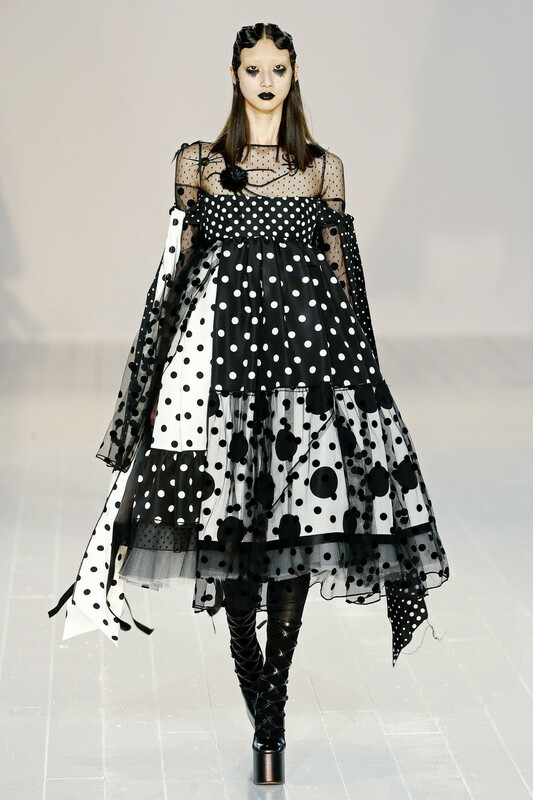 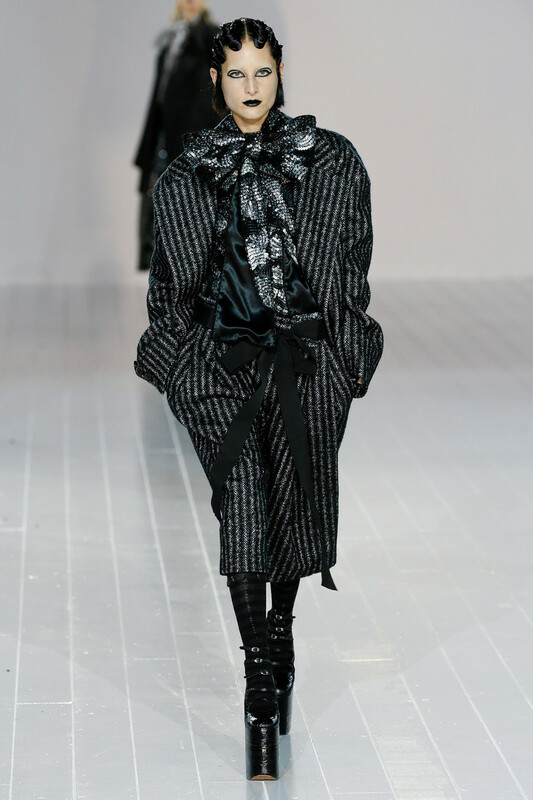 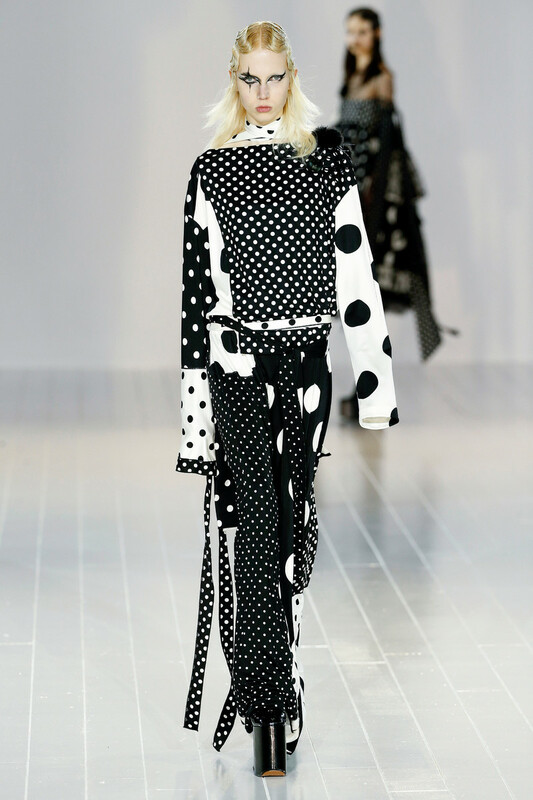 Marc Jacobs showed his extravaganza of fashion-noir on a stark white set to the sound of single chimed notes by Japanese musician Keiji Haino. 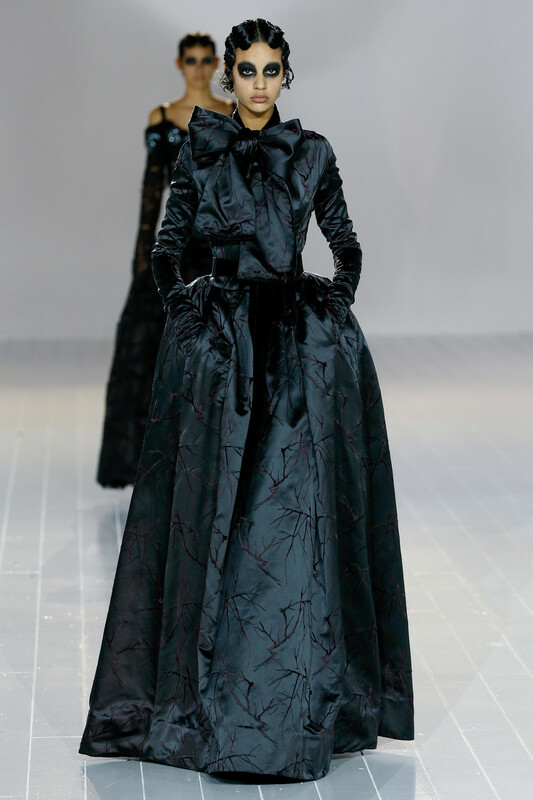 Darkness ruled, but with an underlying sweetness. 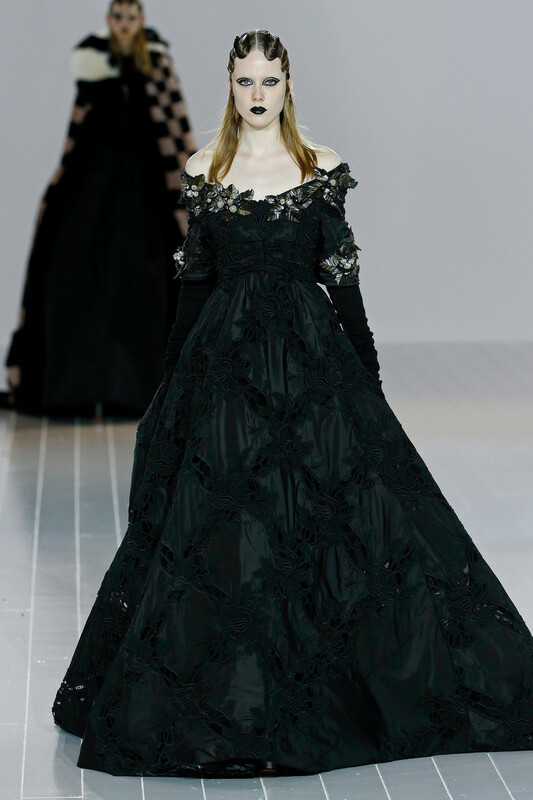 The models’ eyes and lips were black. 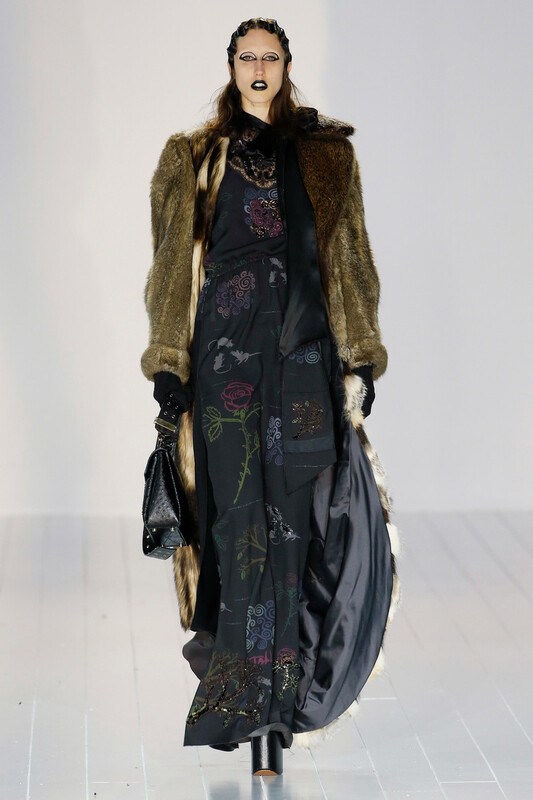 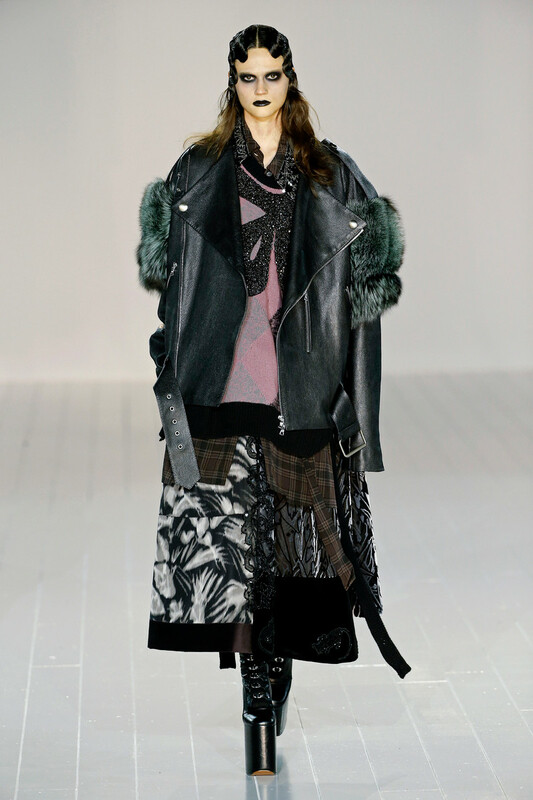 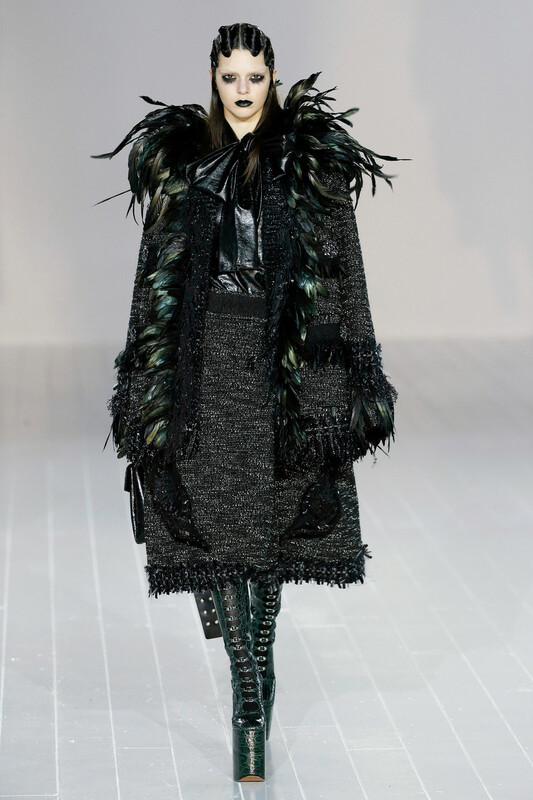 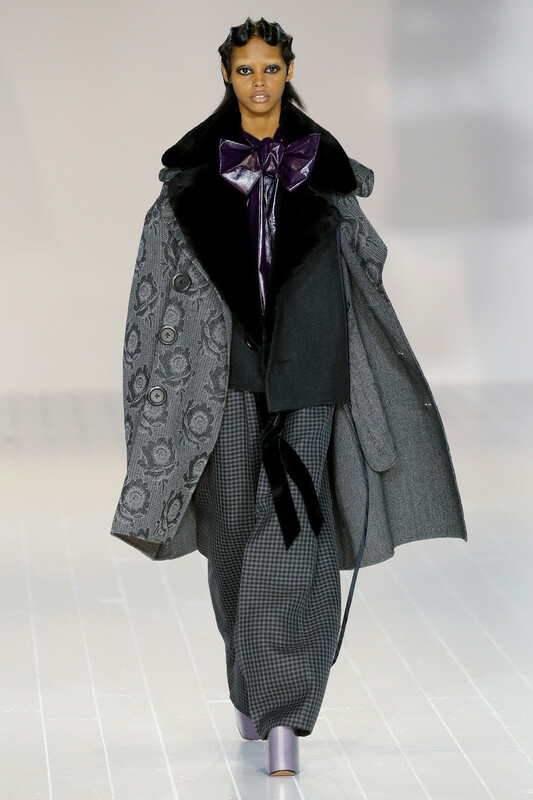 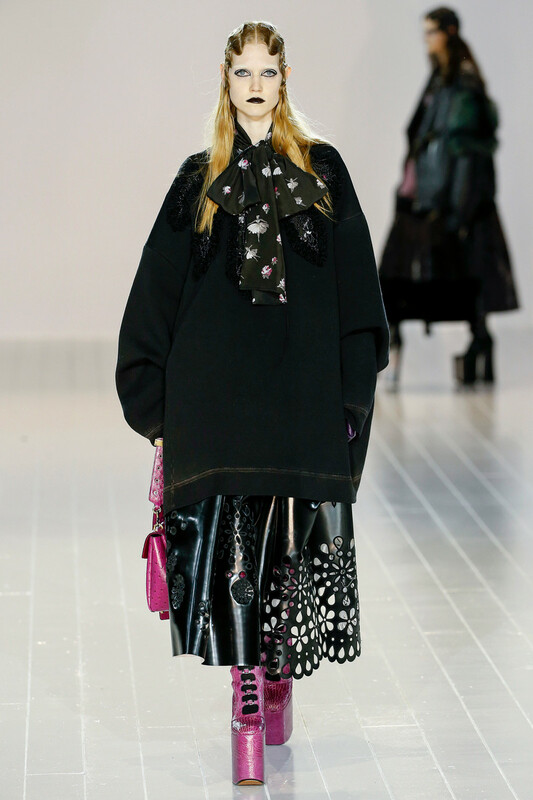 The clothes were dark, wondrous, inventive, eccentric pilings of tweeds, furs, silks, and endless decoration, Victoriana meets Goth meets Biker Chic meets Varsity Chic meets Red Carpet meets Violet Incredible and countless other girls of Jacobs’ runways past. 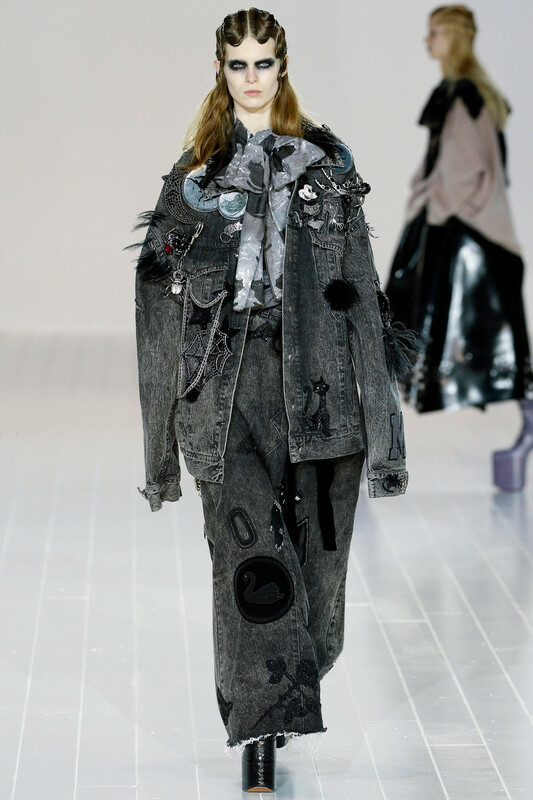 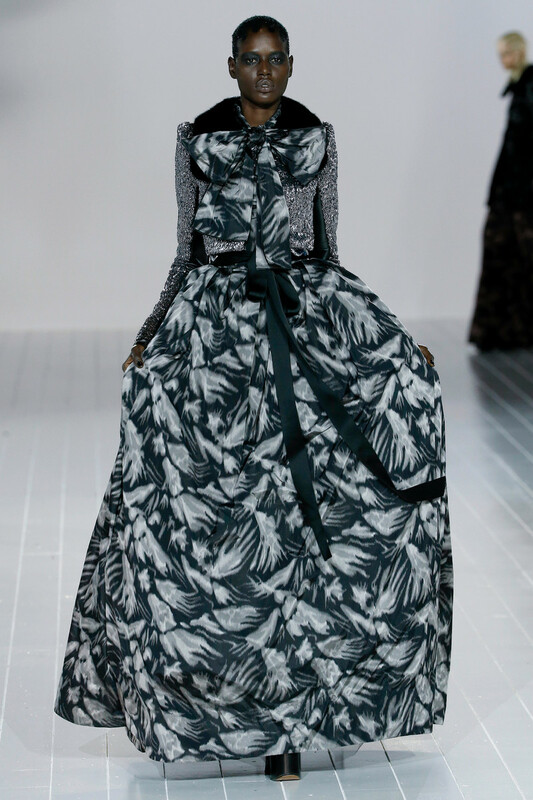 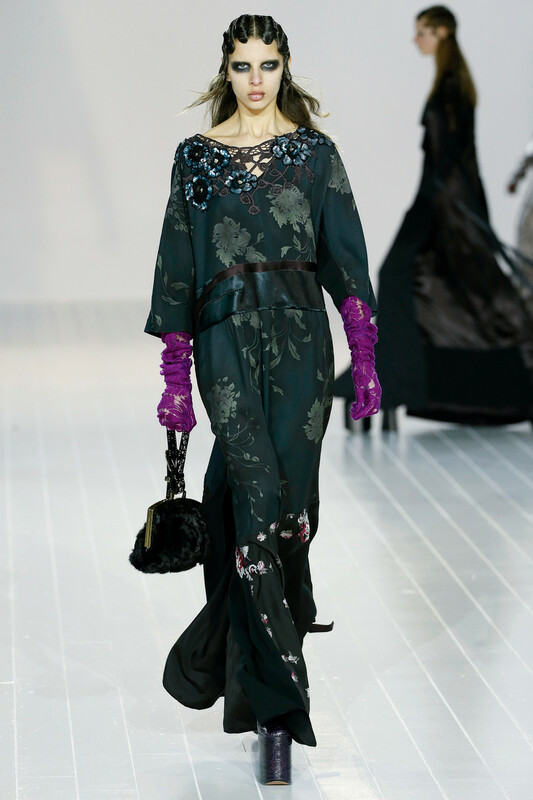 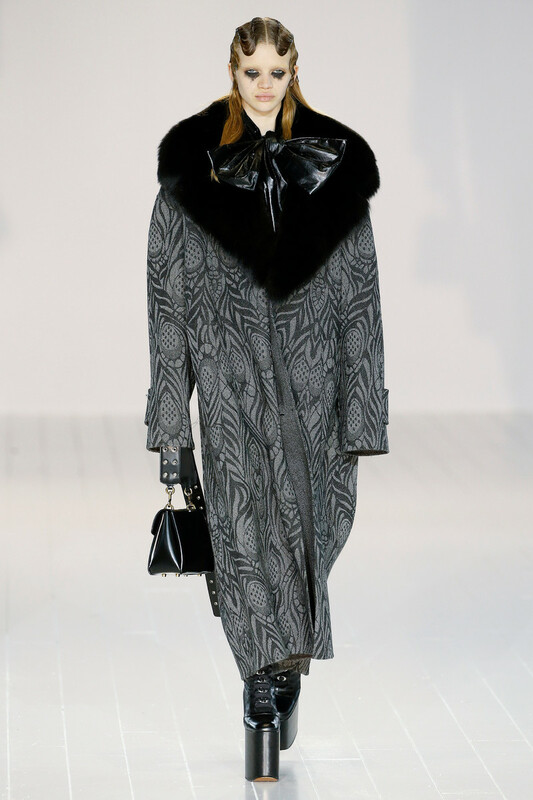 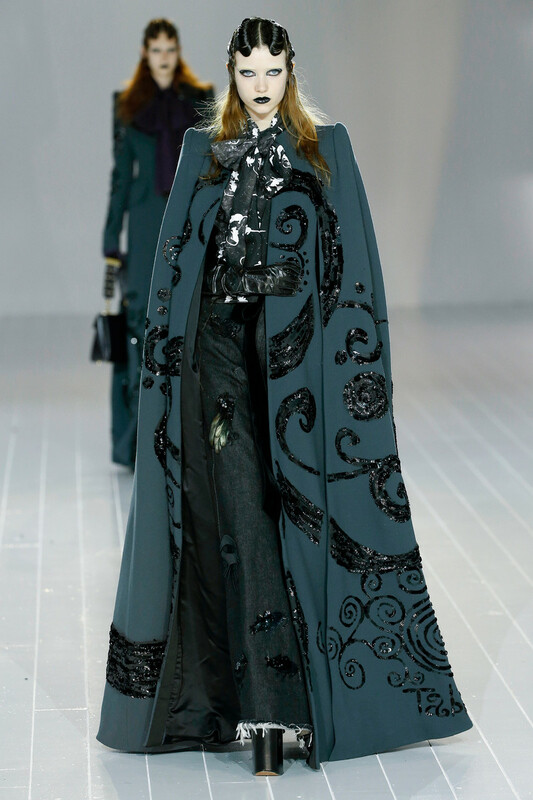 Cats, rats, cherubs and ballerinas got acquainted on prints, a giant raven took up residence on the back of a jacket and a lady named Gaga walked the show.